This saddle design is double sided, and has the same pattern on the reverse side. Please note: The listed size for this saddle design is the minimum size required for insertion. 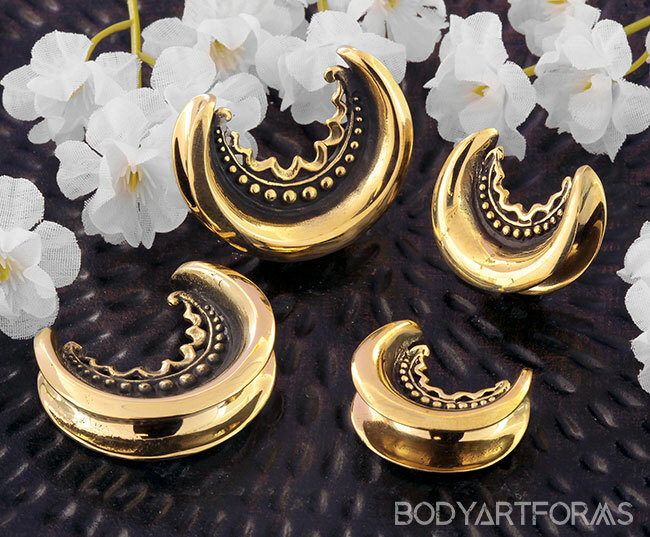 They can be worn in lobes larger than the listed size.